Buy or sell at great prices. Trade with verified parties. Quick, easy and hassle-free. Metalstreet is a B2B marketplace for metals connecting buyers and sellers in a safe, secure and transparent virtual environment. A buyer (SMEs, fabricators, manufacturers) can leverage Metalstreet to seek out the best available pricing, directly connect with new and credible suppliers and fulfill requirements with purchase guarantee from Metalstreet. A seller (trader, distributor, manufacturer) can use Metalstreet to discover new customers, requirements and markets in addition to completing transactions with payment guarantee from Metalstreet. Furthermore, with our suite of ancillary services and trade assistance, a buyer or seller can complete a transaction with minimal effort, optimum efficiency and maximum transparency. Know the status of your shipment. Track your consignment at will. I found new buyers for my products through Metalstreet and this has helped expand my customer base. I was initially hesitant to register on Metalstreet, but the transparency, efficiency and communication from their representatives was a huge positive. I wish them the best and I look forward to more business coming in through Metalstreet. 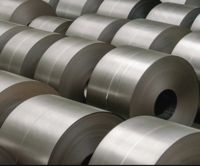 As an end-user, it was a great experience sourcing our steel requirements from Metalstreet. We’ve used them a few times now and I would highly recommend their services. They helped locate the required products at great prices. Efficient, transparent and super-quick! Metalstreet has helped connect me with new suppliers and customers. Recently, I purchased material from a supplier I located on Metalstreet and my overall experience was great. Their trade enablement team took over several operational tasks and ensured the transaction was seamless. I definitely plan to use Metalstreet more often! Yes. We have found new customers and we see potential in finding more. We look forward to doing more business through Metalstreet in the future. Metalstreet helps you optimize your buying and selling with focus on increased efficiency and profitability, enhanced visibility and a pan-India buyer/seller base. Not to mention a plethora of value-added services such as trade assistance, logistics and freight insurance.